Chinese equipment maker Robustel (Guangzhou Robustel Technologies) has launched a modular industrial IoT edge gateway that supports various communication protocols for faster application development. The MEG5000 has three scalable cards that support a variety of interfaces for the industrial Internet of Things (IIoT) so that the the gateway can be tailored to virtually any industrial requirement. Through edge computing, the MEG5000 gateway is able to process data right at the network edge and in real time. It can collect, analyze and act on data more efficiently, and it supports data optimization which is vital in the IIoT. When transferring large amounts of data to the cloud over limited bandwidth, latency might occur. MEG5000 supports up to 1300 Mbps Wi-Fi speed ensuring that its edge computing power helps to reduce data uploads by acting like a local, edge-based cloud service tool. The gateway is based on RobustOS, a Linux-based operating system that was developed by Robustel specifically for the use such systems and includes basic networking features and protocols. A Software Development Kit (SDK) allows further customisation by using C, Python or Java. It also provides a rich amount of Appsto meet the diverse IoT market requirements. The gateway supports a 10/100/1000 Mbps WAN and eight 10/100 Mbps LAN interfaces with 802.11a/b/g/n/ac, supporting AP and Client modes and an embedded mSATA SSD for data logging. There is also an embedded digital temperature sensor for detecting internal running temperature. Cypress Semiconductor has launched a new device that combines Bluetooth 5 with 802.11ac WiFi on a 28nm process that the company says cuts power consumption by up to 70 percent in receive mode and up to 80 percent in sleep mode. However, datasheet values for the actual power consumption are not yet available. The CYW43012 is based on the WICED technology it acquired from Broadcom is 802.11a/b/g/n-compliant and 802.11ac-Friendly, meaning it is interoperable with 802.11ac access points using standard modes. This enables it to offer higher throughput and better energy efficiency, along with the enhanced security and coverage of 802.11ac Wi-Fi networks. The chip also integrates directly with a range of cloud services, with support for Amazon Web Services, IBM Bluemix, Alibaba Cloud, and Microsoft Azure, along with services from private cloud partners included in the software development kit. The WICED coexistence engine enables optimal combined performance for dual-band 2.4- and 5-GHz Wi-Fi and dual-mode Bluetooth/Bluetooth Low Energy (BLE) 5.0 applications simultaneously and the chip is part of the WICED Studio IoT development platform. "Battery life is a key differentiator for a wide range of connected devices, including wearables, smart home security cameras and wireless speakers; everyone wants a great connected experience for longer without having to recharge," said Brian Bedrosian, vice president of marketing for the IoT Business Unit at Cypress. "The new combo is a game-changer, setting a new standard for power consumption that makes long battery life with Wi-Fi a reality. The 802.11ac-Friendly capability combined with Cypress' unmatched multi-radio coexistence engine provide cleaner air with high-fidelity connections and enhanced range, which is critical for the consumer experience in today's world with a rapidly increasing number of wireless devices competing for airtime." The WICED Studio IoT development platform features an integrated and interoperable wireless software development kit (SDK). The SDK includes broadly deployed and rigorously tested Wi-Fi and Bluetooth protocol stacks, as well as simplified application programming interfaces that free developers from needing to learn complex wireless technologies. In line with the IoT trend toward dual-mode connectivity, the SDK supports Cypress' Wi-Fi and Bluetooth combination solutions and its Bluetooth and Bluetooth Low Energy devices. WICED also supports iCloud remote access for Wi-Fi-based accessories that support Apple HomeKit, which enables hub-independent platforms that connect directly to Siri voice control and the Apple Home app remotely. The WICED Studio connectivity suite is microcontroller (MCU)-agnostic and provides ready support for a variety of third-party MCUs to address the needs of complex IoT applications. The platform also enables cost efficient solutions for simple IoT applications by integrating MCU functionality into the connectivity device. Wi-Fi and Bluetooth protocol stacks can run transparently on a host MCU or in embedded mode, allowing for flexible platform architectures with common firmware. FreeWave Technologies has combined SCADA and rugged 900MHz long range wireless telemetry to provide the ability to develop and host third party apps for intelligent control and automation of remote sensors and devices in the field. The ZumIQ App Server edge software combines the 900 MHz wireless telemetry with the ability to program and host third-party applications, similar to a Linux-based Raspberry Pi embedded in an industrial Ethernet radio. Developers can program with any language that is compatible with a Linux kernel, including: Python, Java, C++, Node-RED and Node.js development environments, and a free development programme is avialable (see below). The software comes pre-loaded with Node-RED, Python and MQTT for easy industrial IoT app development on multiple ZumLink 900 Series radio models. It has used this to develop ZumDash, a small SCADA industrial control app that enables reliable data collection; monitoring, and remote command and control functionality through triggers, alarms and actions. The app supports analogue, digital and HART data interfaces with Modbus. ZumDash also provides a "dashboard" with user-defined status updates and data trend visualisation from any web-based device. It was created to serve as a cost-effective replacement to small SCADA systems that rely upon expensive Programmable Logic Controller (PLC) type hardware and monthly recurring fees. FreeWave has set up a pilot program (http://www.freewave.com/zumiq-pilot-program/) to provide a complimentary hardware/software dev kit for engineers to write their own industrial IoT applications with easy-to-use developer tools. Cypress Semiconductor has launched the development kit for its latest PSoC 6 Bluetooth-enabled microcontroller that is set to enter production by the end of the year for IoT designs. The PSOC 6 BLE Pioneer Kit and PSoC Creator Integrated Design Environment (IDE) software that combines Bluetooth Low Energy (BLE) 4.2 with integrated hardware-based security in a single device. The PSoC 6 family uses a 150MHz ARM Cortex-M4 core as a host processor and a 100MHz Cortex-M0+ core to manage peripheral functions such as capacitive sensing, BLE connectivity and sensor aggregation. Early applications include wearables, personal medical devices and wireless speakers as the power consumption is 22-µA/MHz for the M4 core and as low as 15-µA/MHz for the M0+ core on the 40nm process. It also supports multiple secure domains without additional memory devices using a ROM-based root of trust where the secure boot is uninterruptible until system protection attributes are established and allows secure execution of code in execute-only mode for protected routines. All the debug and test paths can be disabled to protect production devices. The PSoC BLE Pioneer Kit features a PSoC 6 MCU with Bluetooth Low Energy (BLE) connectivity. The kit enables development of touch and gesture-based interfaces that are robust and reliable with a linear slider, touch buttons and proximity sensors based on the latest generation of Cypress’ industry-leading CapSense capacitive-sensing technology. Designers can also use the board to add USB Power Delivery (PD) with its Cypress EZ-PD CCG3 USB-C controller. The kit also includes a 2.7-inch E-ink Display Shield add-on board (CY8CKIT-028-EPD) with thermistor, digital mic, and 9-axes motion sensor. Designers can find more information on the PSoC 6 BLE Pioneer Kit (CY8CKIT-062-BLE) at http://www.cypress.com/cy8ckit-062-ble. The CY8CKIT-062-BLE is available for purchase for $75 and the PSoC 6 devices are currently sampling. Production devices are expected by the end of 2017. Swedish telecoms operator Tele2 is looking to integrate IoT capability into the backbone of its network with a new cloud-based routing system called 2ROUTE. This makes it possible to collect, route and manage all IP data, from multiple cellular service providers, in one single interface. While this makes data management easier, smarter and more cost-efficient, it also sidesteps some of the speciliast IoT data system suppliers. Many enterprises are forced into an infrastructure provided by multiple suppliers for reasons of cost optimization, regulatory compliance and network coverage. A whole set of companies has sprung up to consolidate this, avoiding the multiple IT and network integrations, imposes a management burden and introduces additional overhead costs. 2ROUTE helps enterprises to overcome all of that by providing a single management and routing platform for all IP traffic, across different cellular IoT deployments. With a suite of API’s and web self-service, enterprises will get instant access and the ability to configure the network settings of their IoT deployments easily. 2ROUTE is built with the latest technology and deployed on top of a highly scalable cloud infrastructure. Setting up secure private IoT infrastructure, which normally takes a telecom operator 4 to 12 weeks, can now be done in minutes. 2ROUTE also allows enterprises to isolate selected data by setting up secure sub-networks. Using 2ROUTE will bring benefits to different types of enterprises. Imagine a fleet management application where end-customers get the ability to directly access and manage their sub-fleet of devices as if they have a private secure network, whilst the provider of the fleet management service does not have to go through the effort of configuring this themselves. Or a start-up company with a data intense offering that instead of taking the risk in investing in infrastructure can use a 2ROUTE infrastructure-as-a-service solution, paying as they grow and freeing resources for other business investments. A number of Tele2 IoT customers have already started testing the solution in order to experience its business benefits. “As the orchestrator of a smarter world, we aim to launch services that make IoT adoption easier, increasingly secure and more efficient. Our 2ROUTE service is an excellent example where we launch a service that reduces overhead and hardware cost, enables a quicker time-to-market and provides tools to improve our customers’ product quality and security. Our strategy to develop open, enduring and inspiring products is now visible for the entire world and the release of new disruptive services will increase over the next year,” said Rami Avidan, CEO of Tele2 IoT. STMicroelectronics has launched a new software kits for creating smart objects that connect using the latest Bluetooth®wireless networking features. The new Bluetooth 5 specification standardises mesh networking so that devices can communicate among themselves as well as directly with mobile phones. All smartphones currently on the market can connect to objects in Bluetooth Mesh networks without needing a central gateway or router, allowing easier control of smart lighting, general building automation, and other Internet-of-Things (IoT) applications such as environmental sensing, industrial monitoring, and asset tracking. ST’s BlueNRG-MESH Software Development Kit (SDK) enables the creation of networked devices and the smartphone apps needed to control them. ST says it is the market’s only three-part SDK so far that provides developer packages for both Android and iOS, and the embedded-development software for building smart objects such as light fittings and sensors. Together, these three packages provide all the software building blocks engineers need to get applications running using ST’s BlueNRG mesh-ready Bluetooth Low Energy system-on-chip devices and radio transceivers. The BlueNRG-MESH SDK supports developers building Bluetooth Mesh network nodes using either the BlueNRG-1 or BlueNRG-2 complete BLE System-on-Chip (SoC) devices, or the BlueNRG-MS BLE radio IC. The embedded SDK contains driver-level software including hardware abstraction layer and board support packages, middleware including the BlueNRG-Mesh library and BlueNRG core stack, and sample sensing and LED-lighting application code. BlueNRG-1 and BlueNRG-2 integrate the Bluetooth radio and ARM Cortex-M0 microcontroller, providing a single-chip solution for smart objects. BlueNRG-2 can operate up to 105°C, making it ideal for use in lighting products. The BlueNRG-MS radio works with a separate host controller, giving developers the flexibility to add ST’s BLE radio solution to an existing product and leverage the SDK to implement Bluetooth Mesh. The Android and iOS packages provide the core stack and sample applications to help develop smartphone apps for end users to configure and control devices in the network. In a smart-lighting installation, this can include installing or removing lights, adding new lights to the network, grouping lights, pre-programming scenarios, and controlling the lights using gestures such as tap or shake. A full range of development hardware, including BlueNRG-1/-2 Eval boards and Blue-NRG-MS expansion cards for STM32 Nucleo boards, is available to help streamline product development. The BlueNRG-MESH SDK is already available to selected customers with the full rollout planned for Q4 2017. SecureRF has been busy lately with its post-quantum security technology that fits into low cost microcontrollers used in the Internet of Things (IoT). Now it has teamed up with Intel to add that technology to the Altera FPGAs that are used in the IoT, making sure they can't be cracked by quantum computers. The first security toolkit, available now, adds the technology to Intel's DE10-Nano development board. SecureRF is providing a complete SDK and has written a technical article on authenticating remote devices with a Cyclone V System-on-Chip (SoC) FPGA. One use for these FPGAs is to act as an IoT gateway at the edge of the network to authenticate and control hundreds of remote endpoints, so security is vital. Low-resource endpoints, often running on 8- or 16-bit processors, limit the options for strong security that must also run on an IoT gateway and legacy security methods such as ECC are computationally too expensive. The security toolkit includes Ironwood Key Agreement Protocol (Ironwood KAP) and Walnut Digital Signature Algorithm (WalnutDSA), which are designed to run on the smallest processors. Based on Group Theoretic Cryptography methods, SecureRF’s solutions are up to 60 times more efficient than ECC, consume up to 140 times less energy, and are quantum-resistant to all known attacks. Ironwood enables two endpoints to generate a shared secret over an open channel, while WalnutDSA allows one device to generate a document that can be verified by another device. Both methods are implemented partially in software on the Intel Cyclone V’s ARM Cortex-A9 and partially in the FPGA’s fabric. All the compute-intensive routines are executed in hardware, for better performance. “Authentication and secure control of a device entering the IoT is not only a privacy issue, but it is quickly becoming a safety concern too. Many of these small processors are now controlling critical functions in cars, and other types of machines that interact with people every day, and our solutions are focused on creating a trusted environment,” said Louis Parks, CEO of SecureRF. Developers can download an SD card image of SecureRF’s security tools from its Security Toolkit webpage. The image includes WalnutDSA and Ironwood, as well as three separate demonstrations showing the operation of the signature algorithm and the key agreement protocol. The DE10-Nano board adds high-speed DDR3 memory, analogue-to-digital capabilities and Ethernet networking to teh Cyclone V that includes an ARM-based hard processor system (HPS) with dual-core Cortex-A9 embedded processors, peripherals and memory interfaces, connected to programmable logic via a high-bandwidth interconnect backbone. More details are at Intel’s Developer Zone website. Siemens is to set up a research and development hub in Chicago with a focus on developing cloud and IoT related applications to support its building management and automation platforms. The Siemens Building Technologies Control Products and Systems (CPS) Software House will operate as a global software development competence centre for the company developing new applications for the building technologies industry. The facility will open in early October 2017, and is planning to house more than 100 employees, who will be devoted to building out new capabilities and products for Siemens’ Desigo CC and System One platforms. The CPS Software House will lead global R&D efforts for the Siemens’ Desigo CC platform, and will collaborate with the business’ headquarters in Zug, Switzerland for broader cloud and System One platform applications. The new Chicago site will employ specialists in software development, software architecture, product testing, project leadership, application engineering, configuration management, team leadership and technical writing. “Establishing the CPS Software House is the logical next step, and a critical component in our digitalization strategy as we continue to drive toward creating a future that includes autonomous buildings,” says Dave Hopping, President of Siemens’ North American-based Building Technologies Division. Research and development into new CPS applications plays a key role in moving technology to the next level with its ability to add smart features to physical systems and environments. Siemens has approximately 3,300 employees in Chicago, which is home to Siemens' Downtown Chicago headquarters, Building Technologies' North American headquarters, and Siemens Healthineers' Molecular Imaging Global headquarters. In a world full of machine learning as artificial intelligence, Intel has developed a test chip using a different approach. The Loihi test chip mimics how the brain functions by learning to operate based on various modes of feedback from the environment. It is built on a 14nm process with a network of cores that emulate a total of 130,000 neurons and 130 million connections or synapses. This makes the chip highly energy efficient as it uses the data to learn and make inferences, gets smarter over time and does not need to be trained in the traditional way. This idea of 'asynchronous spiking' that occurs in the brain says Dr. Michael Mayberry at Intel. The brain’s neural networks relay information with pulses or spikes, modulate the synaptic strengths or weight of the interconnections based on timing of these spikes, and store these changes locally at the interconnections. Intelligent behaviours emerge from the cooperative and competitive interactions between multiple regions within the brain’s neural networks and its environment. 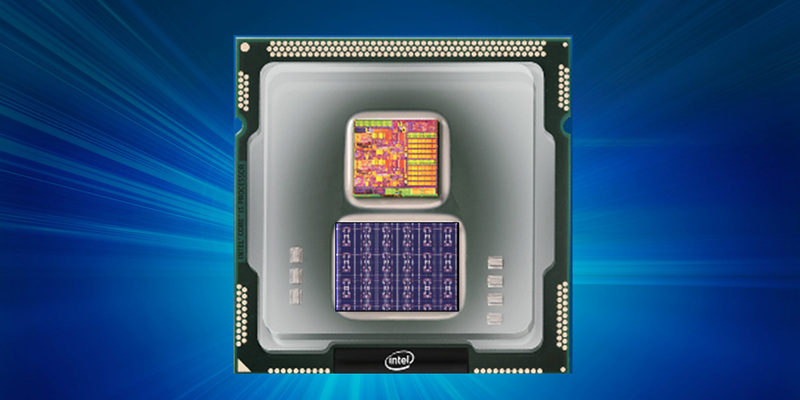 The chip will be shared with university and research institutions with a focus on AI in the first half of next year as Intel sees more architectures and methods – like Loihi or Graphcore's chip – will continue emerging that raise the bar for AI. It has a fully asynchronous 'many core' mesh that supports a wide range of sparse, hierarchical and recurrent neural network topologies with each neuron capable of communicating with thousands of other neurons. Each core includes a learning engine that can be programmed to adapt network parameters during operation, supporting supervised, unsupervised, reinforcement and other learning paradigms. Inlet sees this being combined with the traditional machine learning in its Nervana product line and the Movidius Neural Compute Stick as an example of a 1W deployment of previously trained models. FreeWave Technologies has launched a new line of 90MHz wireless modules for long range connectivity in secure M2M and IoT applications. The ZumLink Z9-PC (http://bit.ly/ZumLink900) radios are designed to function in rugged environments for a variety of applications across Industrial IoT (IIoT) markets, including precision agriculture, oil and gas, unmanned systems, smart cities and utilities. Future versions of the module will feature full programmability with third-party applications for IIoT projects. "The Z9-PC is our most advanced embeddable radio to date," said Phil Linker, senior product manager at FreeWave Technologies. "Not only does it support the functionality of FreeWave's ZumLink 900 MHz Z9-PE radio, but will include the ZumIQ App Server with the ability to host third-party applications at the edge of IIoT networks. Companies in critical industries can utilize data and provide command and control like never before." Over the past year, FreeWave has introduced the ZumLink 900 MHz Series of radios to include the Z9-P, Z9-PE, Z9-C, and Z9-T. The Z9-PC is the culmination of the 900 MHz radio series, as it provides versatility and flexibility, and, most importantly, provides programmability for industries in need of future-proof IIoT technology. The radios use FreeWave's ZumBoost Network Acceleration Pack with techniques such as compression, packet aggregation, forward error correction, and a patent-pending Adaptive Spectrum Learning technology to ensure maximum throughput to meet the demands of today's wireless applications. Additional features include five RF link rates from 115.2 kbps up to 4 Mbps, 128bit and 256bit AES counter mode encryption, multiple link rates, channel sizes and modulations, as well as frequency hopping and single channel operation. Engineers, developers, and embedded security experts face a major challenge. Designs using 8-, 16-, and 32-bit processors lack the computing and memory resources needed to incorporate contemporary security methods like Elliptic Curve Cryptography (ECC) that are not vulnerable to the coming generation of quantum computers. “A common misconception is that constrained IoT devices cannot run public-key solutions, and this is true about legacy methods—either they don't fit or, if they can be made to fit, they don’t perform,” said Derek Atkins, Chief Technology Officer at SecureRF. He points to two of the company’s security solutions—the Ironwood Key Agreement Protocol (Ironwood KAP) and Walnut Digital Signature Algorithm (WalnutDSA) that are suited in terms of size, speed, and power for the small processors powering the IoT. Based on Group Theoretic Cryptography methods, SecureRF’s tools are at least 60 times faster than ECC and consume up to 140 times less energy. Ironwood KAP and WalnutDSA provide critical protection against all known quantum attacks. As recently announced by the United States National Security Agency (NSA), quantum resistance is a critical requirement for users looking to deliver secure sensors, devices, and actuators that have multi-year lifespans. These systems can protect IoT devices even when quantum computers become available and render currently used methods such as ECC and RSA obsolete. UK chip design supplier Imagination Technologies has been broken up and bought by two US venture capital firms. Imagination includes the MIPS processor cores, PowerVR graphics cores and ENSIGMA wireless cores. The company had been in trouble since losing a deal with Apple for graphics technology. That dispute is still on-going. The MIPS division, including all the patents, has been bought by Tallwood MIPS Inc, a company indirectly owned by Tallwood VC of Palo Alto, for $65m in cash. The deal is expected to close next month. This removes one of the main blocks to Canyon Bridge Capital Partners buying the rest. The venture capital that last week was blocked by US president Trump from buying Lattice Semiconductor over concerns about its backing by Chinese funds. Tallwood has investments in startups what were bought by Qualcomm (such as SiRF), Silicon Labs and Broadcom as well as direct investments in Cavendish Kinetics and Accent. The Canyon bridge deal values the bulk of Imagination at $550m, almost ten times that of MIPS. Imagination acquired MIPS in 2013 for $60m, although the majority of the patents at that time were sold to ARM. 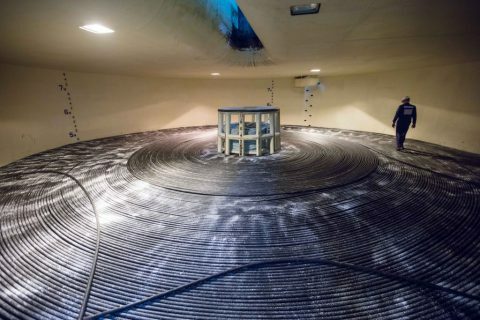 Facebook and Microsoft have completed a new trans-Atlantic undersea cable that will carry up to 160Tbit/s of data and are getting it ready for operation. The new "MAREA" cable will be the highest-capacity subsea cable to ever cross the Atlantic with eight fibre pairs. The 6,600 km submarine cable system will be operated and managed by Telxius, Telefónica's new telecommunications infrastructure company, and connect the US to southern Europe, from the data hub of Northern Virginia to Bilbao, Spain and then to network hubs in Europe, Africa, the Middle East and Asia. This route is south of other transatlantic cable systems, helping ensure more resilient and reliable connections for customers in the US and Europe, and Telxius will sell on capacity on the cable. A key change is that MAREA is designed to be interoperable with a variety of networking equipment, reducing the cost. "As the world is increasingly moving toward a future based on cloud computing, Microsoft continues to invest in our cloud infrastructure to meet current and future growing global demand for our more than 200 cloud services, including Bing, Office 365, Skype, Xbox Live and the Microsoft Azure platform," said Christian Belady, General Manager, Datacentre Strategy, Planning & Development at Microsoft. "By building the cable along this new southern route, we will also increase the resiliency of our global network, helping ensure even greater reliability for our customers." The cable was landed in Spain in June, and the physical link has been completed. HOwever the equipment still needs to be installed and commissioned, so the link will not be operational until early 2018. A new open source software foundation has been launched to create a secure, scalable, interoperable, and trusted IoT ecosystem using the distributed ledger technology of blockchain. However, the Trusted IoT Alliance (TIA) will be up against existing collaborative frameworks that have already released their specifications. The TIA was formed from the Blockchain & IoT Protocol working group that arose out of conversations amongst technologists during 2016 working on different aspects of the IoT and blockchain problem, all recognising the need for a "smart contract" interface between IoT devices and blockchain systems across the industry. At the inaugural meeting of the group in Berkeley, CA in 2016, they agreed to create a foundation for industry collaboration in a few basic areas. It will promote technologies that have been successful for members, such as Hyperledger Fabric, Ethereum, Quorum and BigChain DB. A key point is that the TIA is backed by Bosch, Cisco and Gemalto on the operational board but it will be competing with other Internet security groups that already have IoT frameworks available, although not yet with blockchain technologies. Back in March 2016 The Online Trust Alliance (OTA) formally ratified and released its Internet of Things (IoT) Trust Framework. The Framework was the first global, multi-stakeholder effort to address IoT risks comprehensively including 30 principles providing guidance for device manufacturers and developers to enhance the security, privacy and sustainability of their devices and data they collect. This was based on work by the OTA’s IoT Trustworthy Working Group (ITWG) hat was established in January 2015 address security, privacy and life-cycle sustainability in IoT products and services, which is pretty much the same remit as the TIA. The initial scope of the ITWG focused on connected / smart home products and consumer facing health and fitness wearable technologies and the IoT Trust Framework reflects feedback from nearly 100 US and international companies and organisations ranging from major retailers and device manufacturers, to security and privacy subject matter experts, to consumer testing and advocacy organisations, to academia, government and law enforcement. "The framework demonstrates the ability of the public and private sectors to coalesce and develop meaningful and actionable guidelines, enhancing security and privacy practices globally," said Craig Spiezle, Executive Director and President of the Online Trust Alliance. "Adopting the Framework, is a step towards realising the promise of IoT and making security and privacy competitive product features." 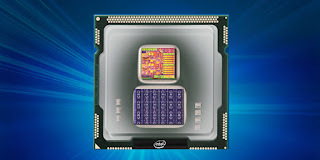 Intel has released the first details of the FPGAs it plans to make on its 10nm FINFET process. Although the latest processors on the technology have been delayed, FPGAs are a good process prover as they have lots of repeatable elements and lots of redundancy that can survive low process yields. The Falcon Mesa FPGAs will target data centerr wireless 5G, network function virtualization (NFV), automotive, industrial and military/aerospace applications with 112 Gbps serial transceiver links and the latest PCI Express Gen4 x16 support with data rates up to 16 GT/s per lane for next-generation data centres. The new family will build upon several innovative technologies from the current Intel Stratix 10 14 nm FPGAs designed by Altera. The Hyperflex architecture, which uses registers, called hyper-registers, throughout the FPGA, is being optimised for 10nm as you would expect, and this will be included in the Quartus Prime high-level design tools. The Embedded Multi-Die Interconnect Bridge (EMIB) packaging technology will allow the higher performance transceivers to be made on a different process technology and integrated into the package alongside the FPGA fabric. A next-generation high bandwidth memory (HBM) DRAM memory architecture will also deliver 10x the performance of discrete memory designs in a smaller form factor with lower power consumption. Mobile operators have a significant opportunity to offer low power wide area systems for the Internet of Things, but competition will be intense, says Analysys Mason in a new report. The report gives an insight into the technology being used, with AT&T using LTE-M, Orange using LoRa and LTE-M and Vodafone using NB-IoT. However, smaller operators have an opportunity in using different technologies. The alternative technology will be better suited to particular use cases. It is uncertain how large the differences between NB-IoT and LTE-M will be in terms of price and performance, but if NB-IoT does have clear price advantages or longer battery life than LTE-M, it will be more attractive for some applications such as metering. This could benefit T-Mobile USA, says the report. An alternative technology could open up the enterprise market where most challenger operators have a limited presence. However, the report warns that operators also need to consider the consequences of being late to market if they adopt a wait-and-see approach. The appeal of waiting is clear: the existing enterprise base is limited and NB-IoT or LTE-M are relatively quick to deploy. However, operators with ambitions to play a role in IoT risk foregoing a valuable learning experience in the early LPWA market and the opportunity to capture some of the early demand. Bouygues Telecom, KPN and Swisscom all gained valuable expertise by entering the market early with LoRa, which should help them when developing 3GPP IoT networks say the analysts. Rambus is sampling the first functional silicon of a double data rate (DDR) server DIMM (dual inline memory module) buffer chipset prototype for the next-generation DDR5 memory technology. This represents a key milestone for Rambus as the industry’s first silicon-proven memory buffer chip prototype capable of achieving the speeds required for the upcoming DDR5 standard. According to JEDEC, next-generation DDR5 memory will offer improved performance and power efficiency, providing double the bandwidth and density over DDR4. With that, server DIMM chipsets, like registered clock drivers and data buffers, will be critical to enabling higher memory capacities while maintaining peak performance. This Server DIMM chip prototype uses the signal integrity and low-power, mixed-signal design expertise of Rambus to enable development of next-generation data centres. The new features in DDR5 will target the specific problems being caused by the exponential growth in data generated by IoT, cloud services and real-time data analytics, and address the need to continuously process, move, and analyse that data faster. These enhancements are expected to include higher density, a new command structure and new power saving features. DDR5 will also likely introduce signal equalisation and error correction, and these will work their way down to industrial designs. The Rambus Memory and Interface Division looks at the power, performance, and capacity challenges of the communications and data centre computing markets with standards-compatible and custom memory and serial link solutions include chips, architectures, memory and SerDes interfaces, IP validation tools, and system and IC design services. Researchers at Northeastern University have developed an infrared sensor that can be always on but also essentially zero power, a combination that could drive applications in the Internert of Things (IoT). 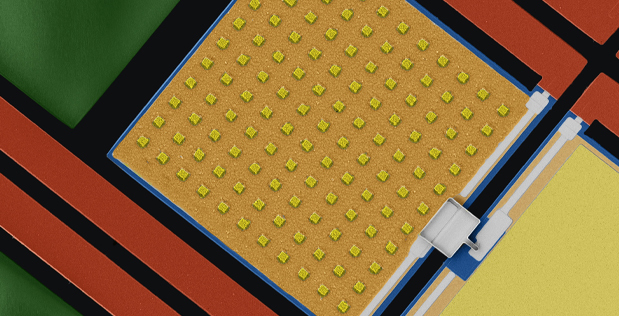 The work for the US DARPA agency is led by Electrical and Computer Engineering Associate Professor Matteo Rinaldi and uses a plasmonically-enhanced micromechanical photoswitch. The sensor uses a grid of nanoscale patches whose specific dimensions limit them to absorb only particular IR wavelengths. “The charge-based excitations, called plasmons (that can be thought of somewhat like ripples on the surface of water), are highly localized below the nanoscale patches and effectively trap specific wavelengths of light into the ultra-thin structure, inducing a relatively large and swift spike in its temperature,” said Rinaldi. These temperature spikes, in turn, lead to an upstream sequence of events that culminates in circuit-completing deformations of other parts of the sensor. A primary goal of the N-ZERO program is to develop fundamental technologies that open the way to new and more capable sensor systems. The NU team points to the IoT with hundreds of billions of devices, ranging from cars, to appliances, to remotely deployed sensors. “The capability of consuming power only when useful information is present will result in nearly unlimited duration of operation for unattended sensors deployed to detect infrequent but time-critical events, with a groundbreaking impact on the proliferation of the Internet of Things,” said Rinaldi. I have a soft spot for the SPARC processor architecture and all its struggles over the years, so I was interested to see the launch of the eight generation chip by Oracle. The 32-core M8 chip is naturally optimised for Oracle's database technology as well as Java, adding security and performance boosts that support up to 256 threads in as little as 2U of space in the data centre. The SPARC M8 processor-based systems, including the Oracle SuperCluster M8 engineered systems and SPARC T8 and M8 servers, are designed to integrate with existing infrastructures and include fully integrated virtualisation and management for private cloud. It includes Silicon Secured Memory, which provides always-on hardware-based memory protection for intrusion protection and end-to-end encryption and Data Analytics Accelerators (DAX) with open API’s. The M8 is a four-wide issue, out-of-order core with up to 192 instructions in-flight, and supports up to eight hardware threads. It provides dynamic threading to optimize for the highest possible per-thread performance and software can activate up to eight hardware threads (strands) on each core via critical threads optimisation. The processor hardware then dynamically and seamlessly allocates core resources among the active strands. The per-thread performance is improved with the enhanced on-chip L2 and L3 cache design and increased processor frequency. The 64 MB L3 cache is fully shared and hot cache lines are migrated to the closest partition to minimise latency. The cores and the last level cache are organised as two partitions each containing 16 cores and 32 MB of L3 cache and each core has its own 32 KB L1 instruction cache, 16 KB L1 data cache, and 128 KB L2 data cache. Four cores then share a 256 KB L2 instruction cache for a total of 64 MB L3 cache per processor that is fully shared, 16-way set-associative, and inclusive of all inner caches. Any L3 partition may serve a request from any of the 32 cores of the SPARC M8 processor. Hot cache lines are migrated to the closest L3 cache partition to optimize for performance. The processor can dynamically trade per-thread performance for throughput by running up to 256 threads, or it can run fewer higher-performance threads by devoting more resources to each thread. This flexibility allows the system to balance overall throughput versus per-thread performance. The M8 is twice as fast at encryption and hasing as x86 devices (read Xeon) which are comparable to the M7, says Oracle. The database gives twice the OLTP (online transaction processing) performance per core over x86 and 7x database analytics than x86, with twice the Java performance. The latest DAX v2 produces 8x more efficient Java streams processing, improving overall application performance. While there is some doubt over the future of SPARC, Oracle has also publicly committed to supporting the Solaris operating system until at least 2034. One of the main low power wide area network operators in the UK is planning to have 95% coverage of the country by 2019 to connect up devices in the Internet of Things. This uses the French proprietary Sigfox network. “The feedback we’re getting from many of our channel partners is that some customers remain uncertain about the reliability, security and costs associated with using the Sigfox network," said Neal Forse, chief executive of WND UK. "We’re spending a lot of time reassuring customers that Sigfox is proven technology and the basis for a commercially viable IoT network. Unfortunately, the failure of previous network operators to deliver on their promises has left us with a confused market." “If we look at what WND is achieving in international markets such as Europe and Latin America as it continues to deploy Sigfox networks throughout Brazil, Mexico, Columbia and Argentina, then customers should be reassured that we will achieve the same outcomes here in the UK," he said. WND UK started its rollout in March and currently provides coverage to over 37% the UK’s population and is on track to cover 50% before the end of 2017, with over 450 base station installations across the UK. However, IoT applications are often in areas of low population so using a measure of population can be misleading for coverage. The advantage of the lower frequency LPWAN technology is greater range to cover such areas. Ideally equipment makers can add a Sigfox module to a system and connect directly to the network, which then uses the Sigfox server (or Azure cloud) to make the connection to the wider Internet as required. "Sigfox base stations can be deployed at customer sites anywhere in the UK and be fully operational in a matter of weeks," said WND partner Tim Streather at Spica Technologies. Such a security design ensures that Sigfox-ready devices are prevented from sending data to arbitrary devices via the internet and are shielded from interception by strict firewall measures. Lime Microsystems has launched a smaller, less expensive version of its popular LimeSDR software defined radio prototyping boards costing just £100. The LimeSDR Mini is available for pre-order immediately through Crowd Supply at $139 (£100, €115). (https://www.crowdsupply.com/lime-micro/limesdr-mini) The price of LimeSDR Mini has been set to make it affordable for virtually anyone to develop applications using a cutting edge hardware. BT/EE is using the hardware to increase coverage in remote regions; and has also run hackathons to encourage innovation. Vodafone has announced it will use the hardware as part of its OPEN RAN vision. The boards support virtually any type of wireless between 10 MHz and 3.5 GHz - such as UMS, LTE, SDM, LoRa, Bluetooth, zigbee, RFID, Zigbee and digital broadcasting. LimeSDR solutions are programmable and based on open source technologies with an extensive community of developers, offering the potential to democratise wireless communications and enable global wireless connectivity. Following its acquisition of the Nokia Siemens spinout Cumulocity back in March, Software AG has re-launched the cloud-based IoT platform. Cumulocity IoT will address today’s market demand for easy, fast, and scalable IoT solutions to support enterprises of all sizes, regardless of the level of sophistication of their IoT requirements, says the company. Recent market research shows that 90 percent of executives surveyed feel the Industrial Internet of Things (IIoT) is critical to their companies’ success, but only 16 percent have a comprehensive IIoT roadmap, so the new Cumulocity IoT portfolio is offering self-service IoT solutions to enable organizations develop their own IoT applications and solutions. The Cumulocity IoT portfolio operates at the edge, in the cloud or on premise, giving flexibility in designing, building, deploying and upgrading enterprise IoT platform, solutions and services. It includes a range of pre-packaged solutions such as Condition Monitoring, Predictive Maintenance and Track & Trace, as well as quick and easy device and sensor management. The original Cumulocoty technology has been integrated with Software AG’s Digital Business Platform to target companies using IoT to enhance their own products and services and IoT service providers seeking to build and commercialize an IoT platform. Toshiba has developed a low voltage 5GHz receiver for IEEE802.11ax wireless LAN, targetting the Internet of Things. 802.11ax has initially been aimed at the enterprise, using the MIMO antenna structures to provide four times more performance. But the continued growth in the Internet of Things requires high-speed communications in environments increasingly crowded with numerous wireless LAN devices. This requires CMOS devices operating with supply voltages lower than 1.0V. Unlike digital circuits, the performance of the RF CMOS receivers, degrades drastically as voltage falls, and new circuit technology that can operate below 1.0V is required to overcome this problem. Toshiba's research labs have developed three new technologies for low voltage RF receivers. The first is a variable linearity RF amplifier (RFAMP). The signal amplitude is affected by power supply voltage so the linearity of RFAMPs decreases as voltage falls. Conventional RFAMP uses variable resistance to improve the linearity, but internal DC voltage and amplifier performance are also changed by adjusting the resistor value. In order to avoid these problems, the new RFAMP simultaneously employs two input paths: a high lnearity path and an internal voltage adjustment path. The RFAMP can adjust linearity without any change in the internal DC voltage. The second is a low noise frequency converter. Conventional frequency converters use a DC current source to improve the performance of conversion switches in low voltage designs, but this additional current source degrades performance with low frequency noise. A new frequency converter design suppresses low frequency noise by moving the DC current source to the RF side of the conversion switches. Low frequency noise is up-converted to the RF frequency, which is separated from the desired low frequency signal. The result is sufficient switch performance without noise degradation. The third is a current adder opamp. This amplifies the converted low frequency signal to level a sufficient high to input the analogue signal into the digital converter. As the maximum output signal level is limited by the supply voltage, the opamp is forced to reduce its operating voltage range. The new design suppresses the DC current source from the output stage with a high speed differential current mirror, and provides larger output voltage even in a low voltage environment. . Integrating these three technologies into a 5GHz wireless LAN receiver has allowed the labs to reach the level of performance essential for next-generation wireless LAN. Industrial networks are increasingly utilizing IIoT devices for collecting data used to improve decision-making and reduce operations management costs. However, these technologies are creating security challenges that can impact the safety and reliability of industrial control systems (ICS) and processes, raising the prospect of industrial systems being hacked to create networks of malware. The Indegy Cyber Security Platform protects operational networks used in critical infrastructure including energy, utilities, petrochemicals and manufacturing from both external and internal threats. By providing comprehensive visibility into the control-plane engineering activities performed in operational technology networks, Indegy’s technology automatically discovers all controllers (PLCs, RTUs, DCSs) on ICS networks, monitors all access and changes in real-time, and validates their integrity ensuring no unauthorized changes go undetected. Indegy enables advanced detection and response to threats that place the safety, reliability and security of industrial networks at risk before damage occurs. The technology provides visibility and security that spans the entire operational (OT) network, with a unique focus on control-plane activities performed over proprietary engineering protocols. This lets Indegy identify threats before damage can occur as well as a comprehensive audit trail of all changes to ICS devices, who made them and when. It is the only solution that can capture access and changes to critical controllers, whether made over the network or by physically connecting to the controllers (via serial cable or USB drive). The global market for sensors using quantum technology is set to reach nearly $330m by 2025 as the technology takes off in embedded applications. This growth is being driven by increasing adoption of quantum sensors in defence, oil & gas, transportation, and construction markets. The report by Persistence Market Research sees the market expanding at a moderate rate of 4.3% a year from 2016 as it moves from a surge in demand of atomic clocks to improve the accuracy of time sensitive signals for IoT applications such as autonomous cars and drones.GPS systems are inherently dependent on precise calculations of timing for efficient communication between the GPS using device and the satellite providing GPS co-ordinates. Quantum gravity sensors will bring considerable accuracy in the process of ground scanning for oil drilling and extraction and help drillers to get a clear picture of what is under the ground helping them discover pockets of crude oil left undiscovered with the usage of classical methods. The type segment of the global quantum sensors market includes atomic clock, gravity sensor, magnetic sensor, rotation sensors, imaging sensors, and temperature sensors. Among type segments, atomic clock segment is expected to dominate the global quantum sensors market with US$ 127.8 Mn revenue in 2025. The atomic clock segment is expected to gain significant traction throughout the forecast period and gravity sensors will also see a steady growth of 4.7% ayear. Among the industry verticals, defence applications are anticipated to expand at a CAGR of 5.3% during the forecast period to $101m, with Europe leading the business. It already accounts for the largest share in the global quantum sensors market and is expected to lead the market in future. In 2016, Europe quantum sensors market was valued at $73.7m and is expected to reach $111.8 in 2025 with a CAGR of 4.9%. FPGA maker Xilinx has ported its software defined development environment, SDAccel, is now available on Amazon Web Services (AWS) for use with Amazon Elastic Compute Cloud. The EC2 F1 instances provide reconfigurable, custom-hardware acceleration with 16nm Virtex UltraScale+ FPGAs enabling customers to meet the demands of compute-intensive workloads like data analytics, video processing and machine learning. This means the algorithms can be used for IoT implementations without having to programme the FPGAs in Verilog or VHDL. Using FPGA accelerators in the data centre is an increasingly popular system design technique and this means software developers less familiar with FPGAs can now get up to 50x better performance for their workloads. SDAccel automates the acceleration of software application written in C, C++ or OpenCL by building application-specific FPGA kernels for Amazon EC2 F1. SDAccel also supports traditional hardware designers writing optimized accelerators in lower-level hardware description languages such as VHDL Verilog. SDAccel is accessible through the AWS FPGA developer AMI which allows developers to quickly build applications on the cloud, without requiring the purchase or installation of any software or hardware. Developers can then deploy and elastically scale their application to meet any customer demand using the full breadth of AWS services. The launch of the iPhone 8 and iPhone X, which both use the A11 Bionic chip, is showing up the changes in GPU architecture design. Back in 2014 Imagination was relaxed about the relationship, but moves were already underway to develop a new GPU design and now the whole company is up for sale.